Senior Section girls from across the county stayed at Lyneal last weekend. 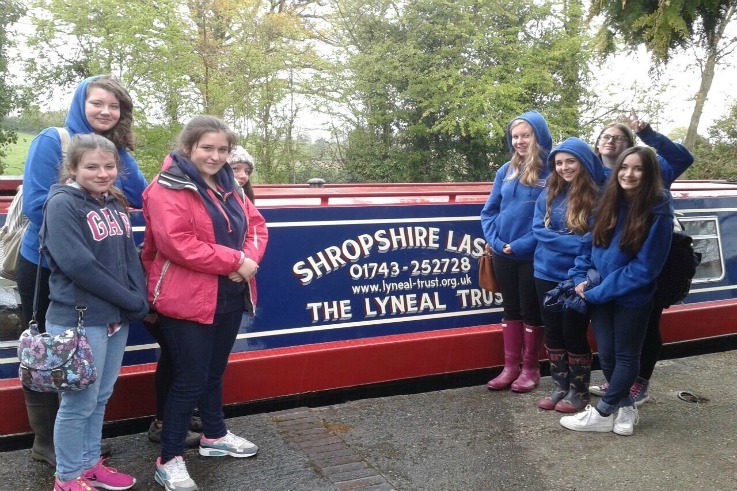 The girls spent their time revising, relaxing and doing some pampering and they also got the chance to journey down the canal on local boat, The Shropshire Lass. Situated at Lyneal Wharf, the Shropshire Lass is a great idea for groups who are staying at our Lyneal Residential Centre for pack holidays and want to experience something out of the ordinary during their stay. Take a look at the Lyneal page on the website if you would like more information about bringing your group for a visit.